This seminar forms part of the 2019 Funds CPD Seminar Series – a series of 10 CPD seminars, which take place throughout 2019. The 2019 Funds CPD Seminar Series provides essential updates for Funds professionals, delivered by industry recognised experts. This series will comprise 10 monthly seminars of 60 minutes, inclusive of a 15-minute Q&A, covering a wide range of topics. 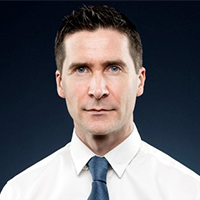 Richard is based in Jersey and is a managing associate in the financial services and regulation team. He has considerable experience in matters of corporate and commercial law but specialises in financial services regulation, data protection and establishing and advising investment funds and fund services businesses. The nature of the regulatory framework in Jersey means that Richard's funds regulation expertise has crossed over to, and he is sought after to advise on, all classes of regulated activity in Jersey. Richard's regulatory practice also includes advising on matters of data protection, international tax compliance and the local AML/CFT regime. Richard participates in local industry groups and regularly presents on matters of financial services and regulation.